Martin will participate at a group exhibition together with French painter and scupltorer Eric Alibert at the beautiful location of Chateau de St-Maurice. Twenty of Martin's large format images from Hokkaido will be on display from May 4 (opening at 6 p.m.) until November 4. 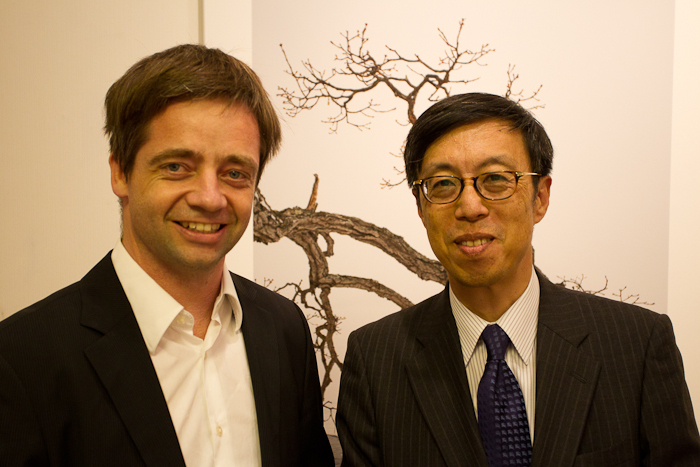 From November 18th until December 3rd, the Japanese Embassy's Information and Cultural Center in Bern/Switzerland features a photo exhibition about Japan. The "two worlds" shown are street scenes from Tokyo of Swiss photographer Daniel Gendre and 30 large format prints of Martin's photographs from Hokkaido on Hahnemuehle fineart paper. 20 of Martin's images are 100 by 140 cm and 10 are 80 by 110 cm. "When I first saw them presented in this form I immediately realized that this is how they should be seen. 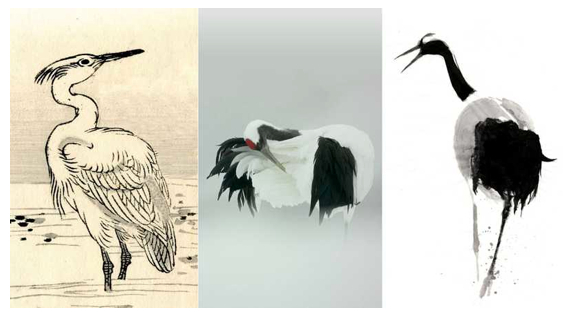 This exhibition is a culmination of many years visiting Japan. In March 2011, I had just left Hokkaido and was traveling between Tokyo and Fukushima when the devastating earthquake struck. Through these images I hope to share my reverence for the beauty and fragility of nature in Japan. In times of terrible events, may these images bring hope but also remind us of the natural wonders at the mercy of technology and our stewardship." This year, the world’s most prestigious competition received more than 32’000 entries from all over the world. "I am really excited that my image “Penguin in a sandstorm” has been awarded a “highly commended” with the BBC Wildlife Photographer of the Year 2007 competition. After my two category winners with the same competition in 2005, I consider this as good luck again and a great reward for my work. I am looking forward to the award ceremony in London, to meet old and new friends and to enjoy the atmosphere in the beautiful Natural History Museum in London." The winning images are published on this website: http://www.nhm.ac.uk/visit-us/whats-on/temporary-exhibitions/wpy/ and the exhibition will tour the world as usual. "What a unique experience. After all the attention Knut is receiving these days, mostly experienced by people sitting in their armchairs watching television, I was thrilled to have a chance to observe young polar bears emerging from their dens in their natural environment. There were some mothers with cubs on their way to the coast trying to catch some seals after loosing a lot of weight during the long time in the den without food and suckling the cubs. It is a unique feeling to sit in the snow and all there is between you and a 200 kg polar bear is your tripod and the camera. This experience involved being confined to a small hut for days waiting for the blizzard to stop, getting my cheeks and my fingers frozen at 42°C (-46F), wind chill included, and occupying a snow hare’s home for the night. Many thanks to the guides. It was amazing how they were able to track the bears in really difficult conditions. I hope to have another chance to see these beautiful animals again. The prospect of loosing them forever because of the disappearance of the polar ice at least partially due to the way we treat the earth just makes me sick." 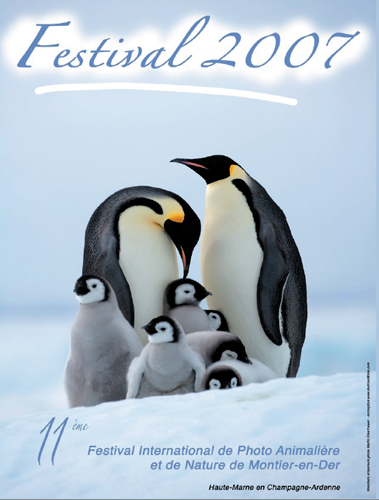 Martin is back from a 12 week trip to Antarctica, Patagonia and the Falklands Islands. "This trip was truly amazing. I sweated with emperor penguins, saw the most amazing mountains (and that is saying something coming from someone living in Switzerland), got close with fighting elephant seals, had dirt picked of my shoes by king penguins, took a shower with the rockhoppers and was able to enjoy the grace of the black-browed albatrosses very close (one even touched me flying by, he had obviously miscalculated the distance). My tent almost didn’t survive the trip, I had to put it down in a gale one night at 4 a.m. and spent the rest of the night under some rocks. Right now I am preparing the images, so you should be able to see the results quite soon." 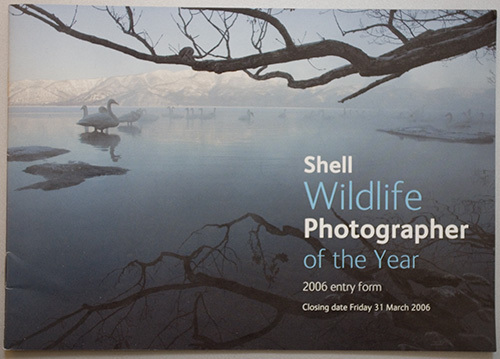 Martin's image of whooper swans has been chosen for the front cover of the 2006 Shell Wildlife Photographer of the Year Competition's entry form.